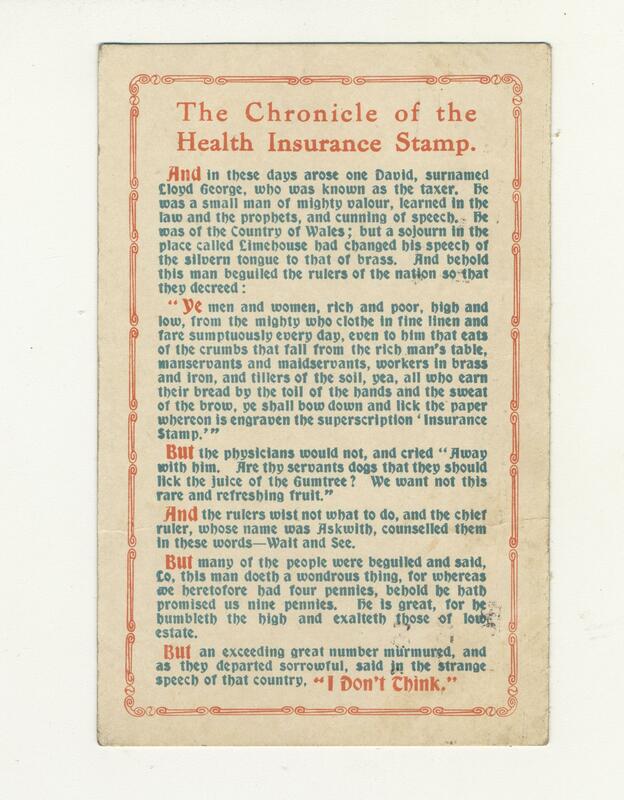 Postcard featuring text of 'The Chronicle of the Health Insurance Stamp.' A simulated legend featuring various Liberal bogey men including ‘the chief ruler whose name was Askwith’ – this possibly conflates Asquith and the name of the man who led the enquiry into the Dublin Lock-out. Valentine Series postcard. Printed in Great Britain. Addressed to Dr. F. W. Walker, Darlington. Post dated October 4th 1912.